Bwindi Impenetrable Forest National Park found in South Western Uganda offers visitors the African jungle experience. It is home to rare mountain gorillas. The forest has a dense ground cover of vines and shrubs which make it look mysterious and awesome. Bwindi Impenetrable Forest is a magnificent verdant swathe of dense rainforest across the steep ridges of the Albertine Rift Valley, this 331 sq km ancient rainforest – one of the few in Africa to have flourished throughout the last Ice Age. The Park has 340 Mountain Gorillas which is close to half of all the world’s mountain gorillas. Bwindi park constitutes an important water catchment area also a significantly populated agricultural land and is one of the few large expanses of forest in East Africa where lowland and montane vegetation intersect. 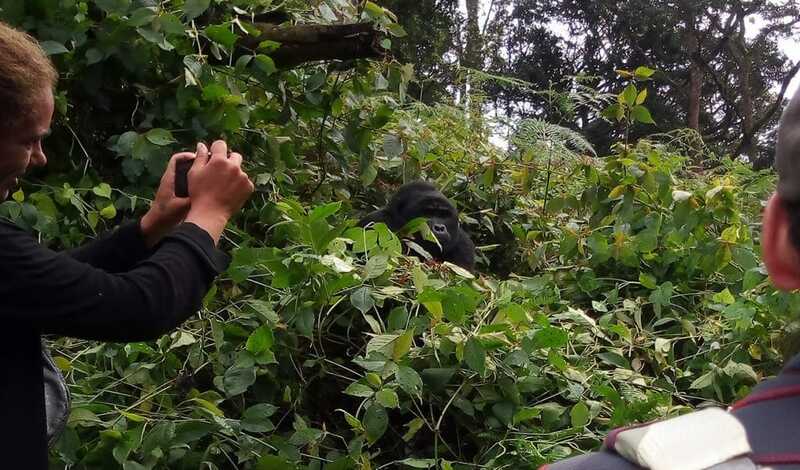 The Park is managed by Uganda Wildlife Authority which closely monitors all threats to the park including those of the mountain gorillas and encroachers. Regarded to be one of the most biologically diverse forests in Africa, Bwindi Impenetrable forest has an altitude range between 1,160m and 2,607m above sea level. It has an average annual rainfall of almost 1,500 mm, and it is a vital a catchment area, the source of five major rivers, which flow into Lake Albert. Stretching over an area of 331 sq km, Bwindi Forest Park is one of the richest Eco-systems in Africa. It is the most diverse forest in the region for tree species. It supports a tremendous biodiversity, with more than 120 species of trees and over 160 species of ferns. Bwindi hosts the highest diversity of tree species including several unique Albertine endemics. The forest acquires the name ‘impenetrable’ from the dense cover of herbs, vines, and shrubs inhabiting the valley floor. Local people that reside within the areas surrounding the park are mostly the Bafumbira, Bakiga and the insignificant numbers of the primitive Batwa (the Pygmies). Impenetrable Forest is home of the last remaining habitats of the mountain gorillas. It is estimated that half of the world’s surviving population of mountain gorillas live within Bwindi boundaries, making it the most important stronghold of this magnificent species. 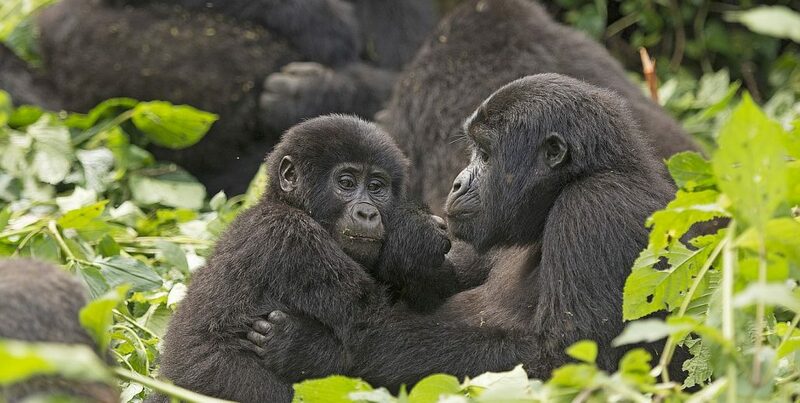 It harbors half of the world’s remaining gorillas located in Buhoma and Nkuringo. Some other primates and rich variety of Flora and Fauna also inhabit this exceptional Park. Looking deep into the expressive brown eyes of these gentle giants is surely the most exciting and poignant wildlife encounter that Africa has to offer – but we should not let it distract from Bwindi’s broader biodiversity, a result of its immense antiquity and an altitude span from 1,160 to 2,607m. The forest birding ranks with the best in Uganda, with 23 highly localized Albertine Rift endemics present. Despite the focus on only gorillas and gorilla tracking, there is a wide range of primates to observe. The park is also known to Harbor at least 120 mammal species more than any national park in Uganda except Queen Elizabeth. The list includes mainly small mammals. The park also harbors about 11 primate species such as the white and black colobus, olive baboons, red-tailed and blue monkey and others. The forest itself is lush and green and there are streams running through it. Bwindi Impenetrable Forest is Bird watchers haven and offers some of the finest montane birding destinations in Africa. Over 360 forest bird species have been recorded which is remarkably high considering the fact that there are a few water birds compared to other parks. The park hosts over 23 of the country’s 24 Albertine Rift endemics. The Park’s location within the Albertina Rift makes it an exceptional birding spot home to varieties such as the African Broadbill and Shelley’s Crimsonwing which are rare species in the region. 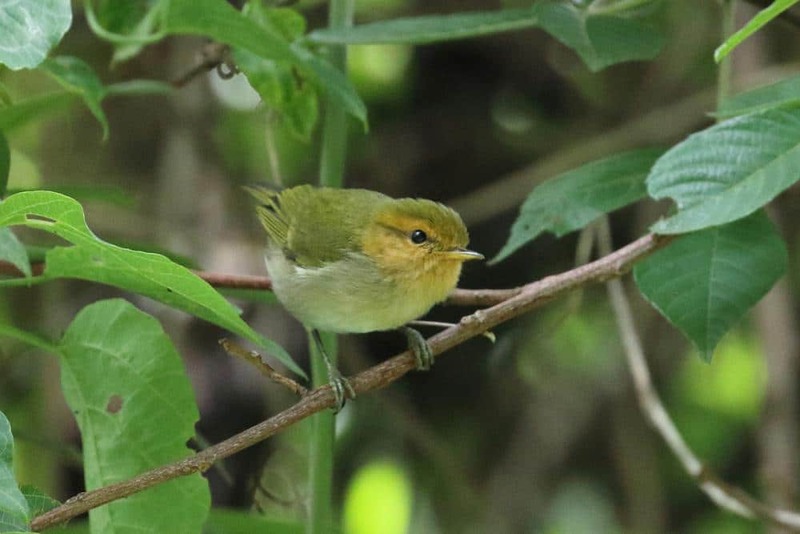 Other birds found in Bwindi include Rwenzori Batis, White-tailed Crested Flycatcher, Yellow-streaked Greenbuls, Mountain Masked Apalises, Red-faced Woodland Warbler, etc. Dedicated birders should hope to identify more than 100 varieties on a single day’s trail. Bwindi Impenetrable National Park is located in southwestern Uganda on the edge of western rift valley bordering the Democratic Republic of Congo shared by Kabale, Kisoro and Rukungiri districts. Getting there on road; from Kampala to Kabale is a distance of 414 km on bitumen surface and takes 6-7 hours. Headquarters via Kanungu and Kanyantoroogo on murram surface takes 3-4 hours and may require a 4WD vehicle. Kabale-Ruhija-Buhoma is 95 kilometers and takes about 3-4 hours. This road is not frequently used by the public. A 4WD vehicle is recommended. 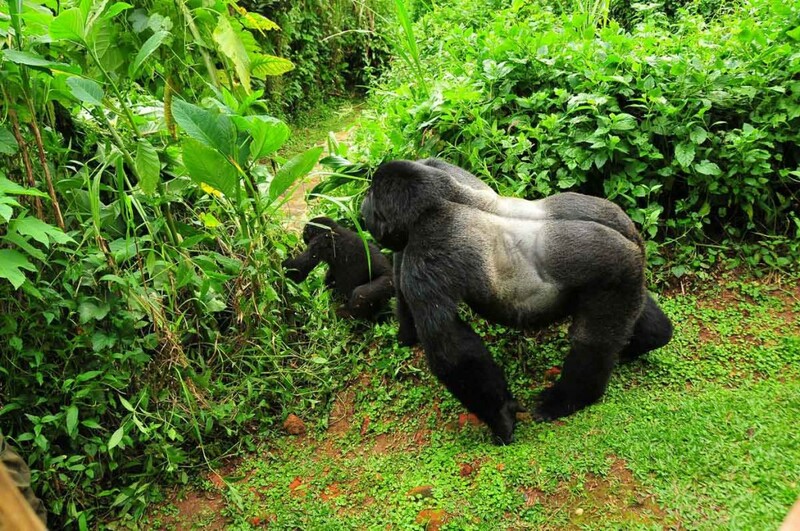 Gorilla trekking in Uganda is the most captivating and memorable activity that the park visitors participate in. Bwindi has four habituated gorilla groups. Three of these are sheltered in Buhoma and one at Nkuringo. Tracking these mountain gorillas is quite tiresome because it involves walking long distances through steep slopes and dense forests. Tracking the gorillas is tiring. The activity usually starts at 08.30am and can take between 2-9 hours depending on where the gorillas are in the forest. To track the endangered species, visitors must acquire gorilla permits well in advance. Some of the gorilla tracking rules are smoking is forbidden within 200m of the gorillas, a distance of 5m should be left between the tracker and the animals, spitting, and noise are not allowed, visitors with communicable diseases such as flu and diarrhea are not permitted access as well as flash photography is restricted. Forest walks – forest trails go through tracts of rainforests, passing beneath tree frens, epiphytic ferns and leadMunyanga River near Buhoma. Bird Watching – the birding hotspots in Bwindi Impenetrable National Park are Ruhija, at Buhoma and in the Valley of Munyega River. Primate Safaris – Bwindi also inhabits 10 primate species including Chimpanzees, L’Hoest’s Red Tailed and Blue Monkeys, Black and White Colubus and Baboons.